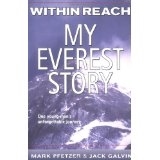 "The true stories I've written in this book are my living nightmares. My greatest hope is that the lessons the stories offer will help you make better choices than I did." 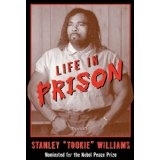 Stanley "Tookie" Williams, cofounder of the notorious Crips gang, is a death-row inmate. But in his two decades of incarceration, Williams has also become a respected author and activist whose dedication to ending gang warfare in the lives of inner-city children has earned him a 2001 Nobel Peace Prize nomination. In this award-winning book which has drawn praise from educators, government leaders, and families alike Williams describes the brutal reality of being an inmate. He debunks myths of prisons as "gladiator schools" with blunt, riveting stories of overwhelming homesickness, the terror of solitary confinement, and the humiliation of strip-searches. Williams' words are a frank challenge to adolescent readers to educate themselves, make intelligent decisions, and above all, not to follow in his footsteps. Jack O'Brien, the impossibly demanding basketball coach at Charlestown High School in Boston, has led his team to five state championship titles in six years. Less talked about is O'Brien's other winning record: Nearly every one of the players who stuck with his program—poor kids growing up in high-crime neighborhoods and saddled with the lousy educational system available in urban America—managed to get to college. But O'Brien is no saint. Saints give without expecting anything in return. O'Brien needs his players and their problems as much as they need him. 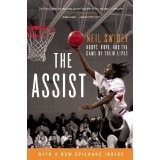 Revolving around fascinating, complex characters, The Assist is a captivating narrative of a basketball team in pursuit of a championship that also drills down into the legacy of desegregation and explores issues of education, family, and race. O'Brien is a middle-aged white guy coaching an all-black team playing in an all-white neighborhood that three decades ago was at the center of the busing wars dividing cities across the country—a time and place indelibly described in J. Anthony Lukas's powerful book Common Ground. It's the inspiring story of a man who makes a difference, and of boys surmounting nearly impossible odds; it is also the story of the ones who don't make it, and why. 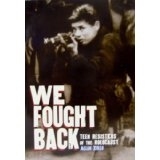 This book features the incredible true stories of teenage Jews who fought back against the Nazis during the Holocaust. There is a mistaken impression among many people that the six million Jews who were exterminated by the Nazis were led to their deaths like sheep to slaughter without resisting. Although there was relatively little armed rebellion among the victims, it was mostly because the Nazis deviously hid their true intentions when they rounded up unarmed men, women and children and shipped them off to death camps. For most Jews, there was no choice whether to fight or not because they never had the chance to take up arms. But by luck or fate, thousands of Jews-many of them teenagers-slipped out of dehumanizing ghettos, concentration camps, and hiding places to join resistance groups known as partisans. Fighting primarily in Eastern Europe, these brave men and women wreaked havoc on the Nazis through guerrilla warfare and sabotage. These warriors relished the opportunity to fight back. As Sonia Orbuch, a Polish-born partisan, explained, "If I was going to die, I was going to die as a fighter, not as a Jew." This book chronicles the experiences of Sonia and six other young Jewish partisans. These accounts are based exclusively on the personal, lengthy interviews with each former partisan featured in this book. 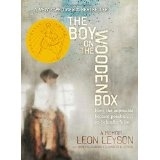 Using real names, dates and places, these stories are written as factual and truthful versions of their recollections.